Questions and knowledge base for Instant's Lotus Sametime and Microsoft OCS based products. By default, SQL Server 2005 doesn’t allow remote connection so you have to enable it manually. If you try to connect to remote SQL Server without enable remote connection first, you’ll see one of these error messages. “An error has occurred while establishing a connection to the server. 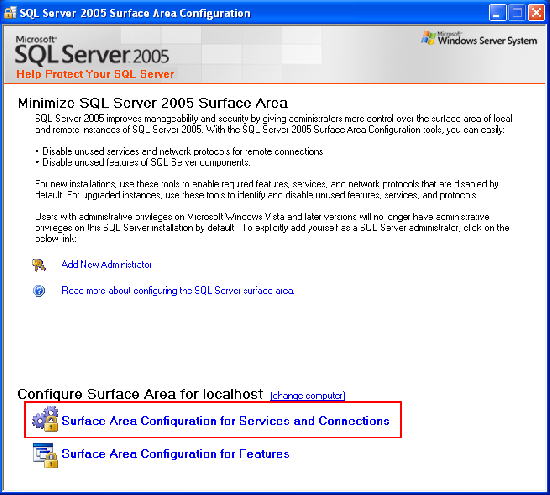 When connecting to SQL Server 2005, this failure may be caused by the fact that under the default settings SQL Server does not allow remote connection. …. “Login failed for user ‘sa’. The user is not associated with a trusted SQL Server connection. To resolve these problems, you have 2 majors task. 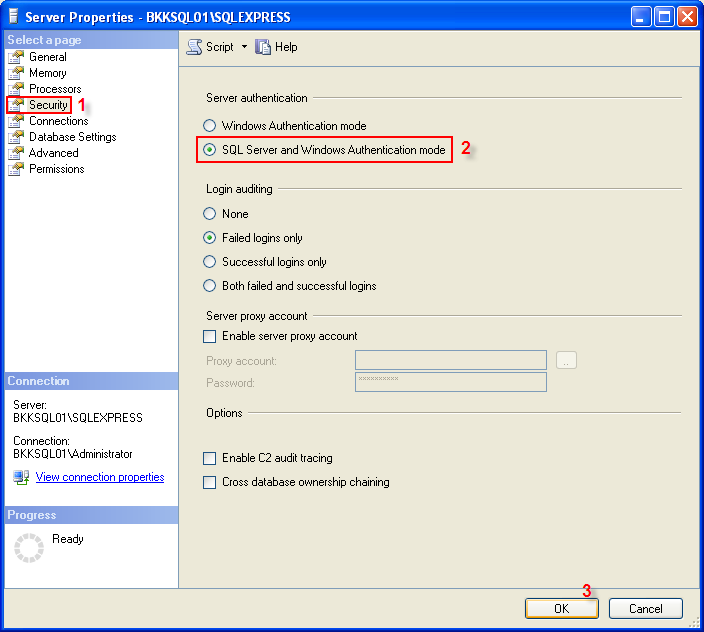 One is to enable both SQL Server and Windows authentication mode on SQL Server and the other is to allow remote connection and SQL Server Browser. Check that you have allowed both SQL Server and Windows Authentication mode (If you’re not use Windows Authentication mode). For instance, user ‘sa’. 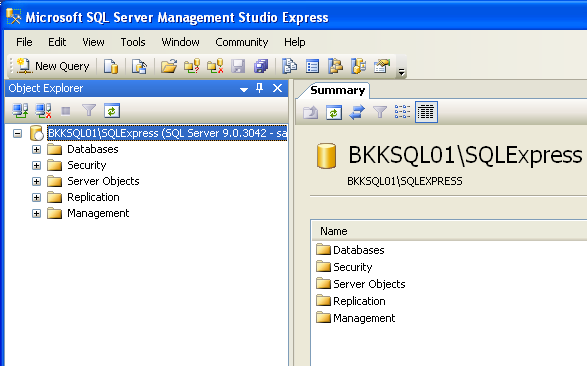 Login to SQL Server using SQL Server Management Studio Express on local SQL Server with Windows Authentication user. 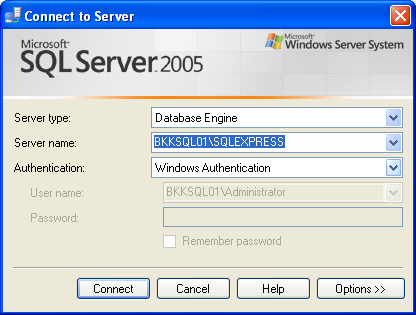 This will use Windows account to authenticate to SQL Server. 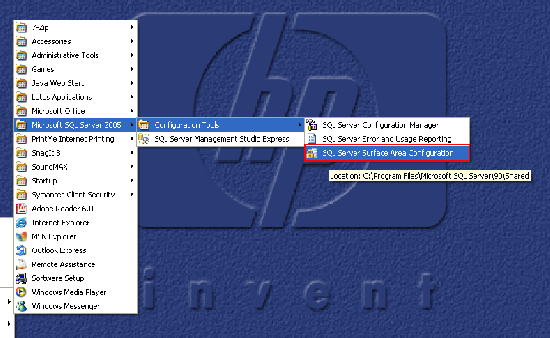 In Object Explorer, right click on the instance name and select Properties. 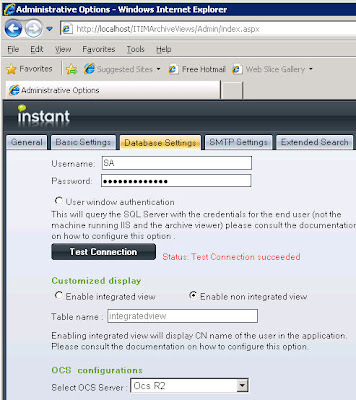 On the left, select Security and change Server authentication to SQL Server and Windows Authentication mode. If the choice is already selected, that means you have already allowed SQL Server authentication. There’ll be an information window shows that you need to restart SQL Server to takes effect of the changes. Right-click on the instance name again, select Restart to restart SQL Server service. Wait for service stop and start. That’s it. You have enabled both SQL Server and Windows authentication so now you can login to SQL Server with your current Windows account or your created account. Open SQL Server Surface Area Configuration. 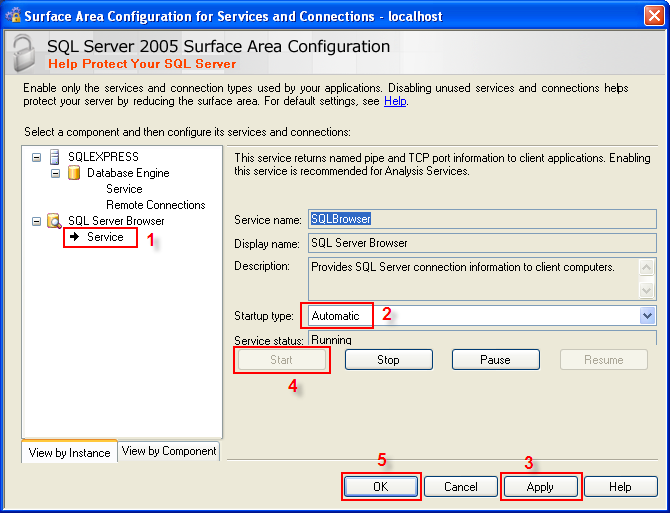 Select Surface Area Configuration for Services and Connections. On the left side, expand your SQL Server instance -> Database Engine -> Remote Connections. On the right side, select Local and remote connections -> using both TCP/IP and named pipes. 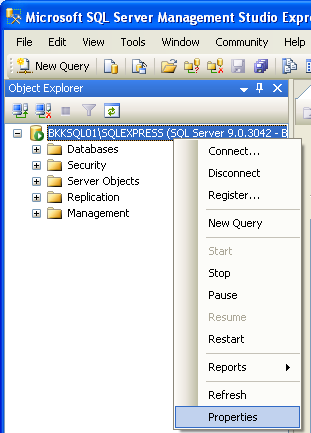 On the left side, select SQL Server Browser -> Service. On the right side, if the startup type is Disable, you need to change to Automatic and click Apply and click Start button to start the service. Then, click OK.
You have finished configure. 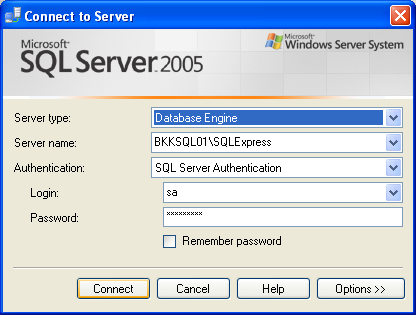 Now try to login to your SQL Server from remote computer using SQL Server authentication mode. 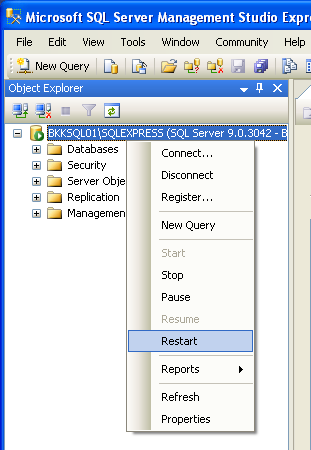 Login to SQL Server succeeded.